Los Angeles-based rocker Kyle Thomas self-released his debut solo LP in 2008, back when he was living in his parents' house in Brattleboro, Vermont and playing in bands like Feathers and Witch. Somehow, as word of his slackery, glam rock alter ego spread by word of mouth, it evolved from an album that pretty much nobody wanted to listen to an album that many record collectors were trying, often fruitlessly, to track down. This was funny, because it sounded like that kind of album—easy and infectious but almost alienating in its quirkiness, raw and alive but with the sort of grainy patina that makes you feel like you're listening to something much older than it is. After several limited-run reissues came in went, people were even throwing around words like "cult masterpiece" in reference to Was Dead—which is why it still held a strong and secretive allure when Burger Records made it widely available this spring, several albums deep into Thomas' garage career . 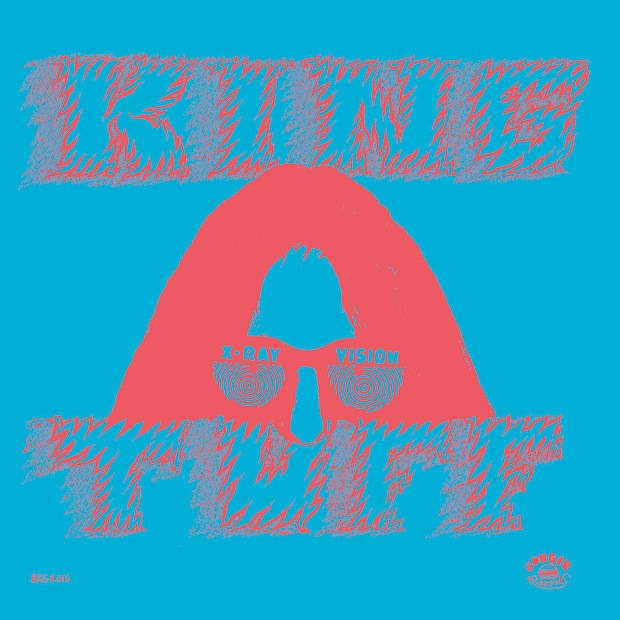 Stream it in full below, read our GEN F profile on King Tuff here and brace yourself for a lot of cartoonish rock star wails.